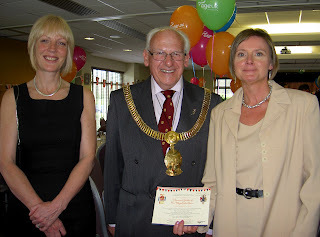 Deb and Sara were pleased to be invited to the Mayor's celebration lunch for the Queen's Diamond Jubilee at Macclesfield's Tytheringon Club. They used the opportunity to make sure that the Deputy Mayor of Cheshire East, Councillor George Walton was familiar with Food4Macc's aims and activies. 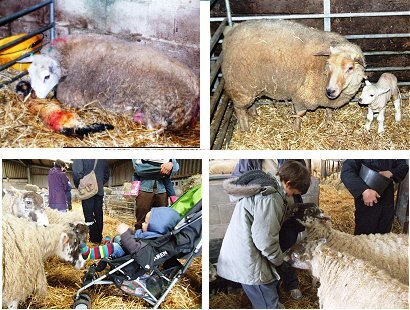 For a second year running Food4Macc Direct members were invited to see Lambing Time at Ladderstile Farm near Bosley. The farmers, Peter and Rose Brocklehurst, were very welcoming, and clearly took pleasure in answering questions and showing us how lambs were delivered. The children particularly enjoyed seeing the new-born lambs at close quarters.